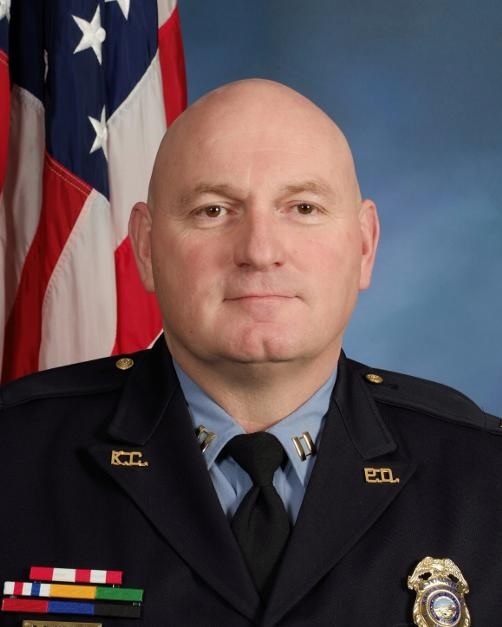 Captain Dave Melton was shot and killed while searching for an armed subject who had fled from other officers who had responded to a shots fired call at approximately 2:00 pm. As officers arrived on scene several subjects exited the vehicle they were in and fled on foot. One of the men was apprehended immediately. Officers began searching the area for the other subjects. Captain Melton was fatally shot when he encountered one of the men near the intersection of 22nd Street and Haskell Avenue. Two subjects were taken into custody and additional subjects remain at large. 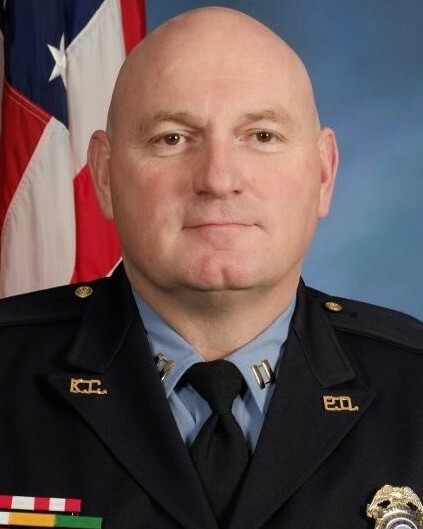 Captain Melton served with the Kansas City Police Department for 17 years and had previously served with the Wyandotte County Sheriff's Office for nine years. He was a veteran of the Kansas National Guard. He is survived by his three children and expectant girlfriend.